The hip young kids of Riverdale High are on Spotify now, which I understand is a thing hip young kids do? I am not particularly old, but I feel like that headline up there is making me feel much, much older. 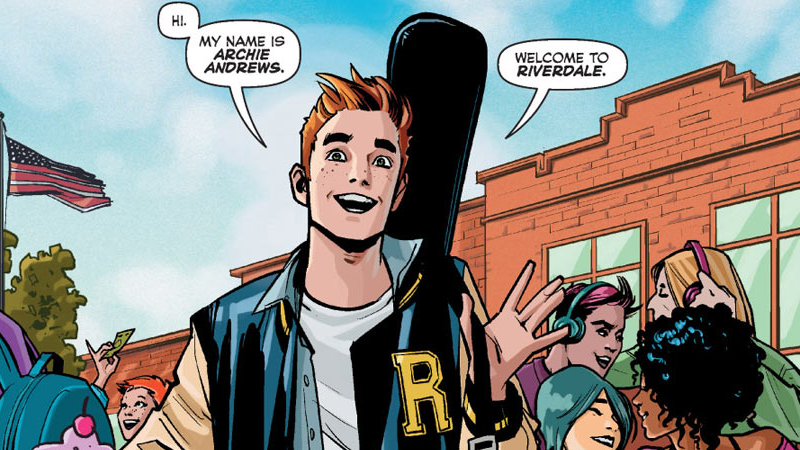 Archie Comics has announced a new collaboration with music streaming service Spotify to bring its rebooted era of Riverdale-set comics to the service as a series of motion comics, produced by Madefire. Using art and storylines from the 2015 reboot of Archie by Mark Waid, Fiona Staples, Annie Wu, and Veronica Fish, the series will release in six parts in conjunction with Spotify Studio’s range of exclusive content on the service—which now apparently includes motion comics and not just music! This may be befuddling to a crone like me, sure, but it makes sense for the young audience Archie has been targeting with this revitalized version of Riverdale, whether it’s through the comics or through the delightfully bonkers teen drama of the CW’s Riverdale show. And hey, if it introduces more people to the absolutely excellent reboot, then they can put motion comics on all the apps the kids are using these days in my books! You can watch the first Archie motion comic on Spotify here. I’ll just be over here, crumbling into a pile of dust and bone thanks to the ravages of time itself.